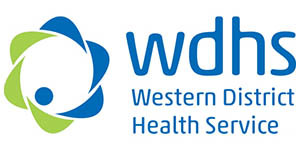 Western District Health Service (WDHS) is a sub-regional provider for the Western District, extending into part of south-eastern South Australia. The primary catchment area for WDHS is the southern Grampians and northern part of the Glenelg shires, with smaller catchments from neighbouring shires including south-eastern South Australia. WDHS is based in Hamilton, with campuses at Coleraine and Penshurst in the Southern Grampians Shire and Merino in Glenelg Shire. WDHS incorporates the Frances Hewett Community Centre, Grange Residential Care Services, Hamilton Base Hospital, Coleraine District Health Service, Penshurst and District Health Service, Merino Community Health Centre, the National Centre for Farmer Health and youth4youth. The main campus of WDHS Hamilton Base Hospital provides a comprehensive range of specialist medical and surgical services, sub-acute, intensive care, regional trauma, primary and preventative health and aged residential services. For more information go to the Western District Health Service website.